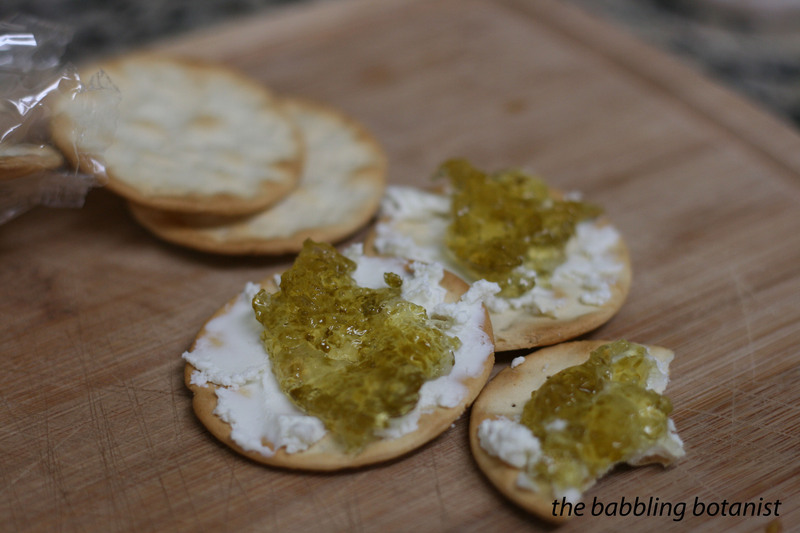 Last week in canning class we teamed up to make four different soft spreads, and I had made three of the four already, so I chose to work on the jalapeño jelly. This recipe is actually one from the Ball Complete Book of Home Preserving (thanks class, helping me with my challenge!). It uses pureed jalapeños, rather than actually making juice out of them, making it a quick and easy jelly that is still really pretty and delicious. And has a nice bit of heat to it! Stem, cut and seed the peppers. Wear gloves! You really do want to do the peppers by mass for this recipe, it’s kind of hard to do a pepper volume. Take the chopped peppers and puree them in a food processor or blender with one cup of the vinegar. Prepare your canner, jars and lids. This should yield about 5 half pints, but we put it in the cute little 4oz jars. 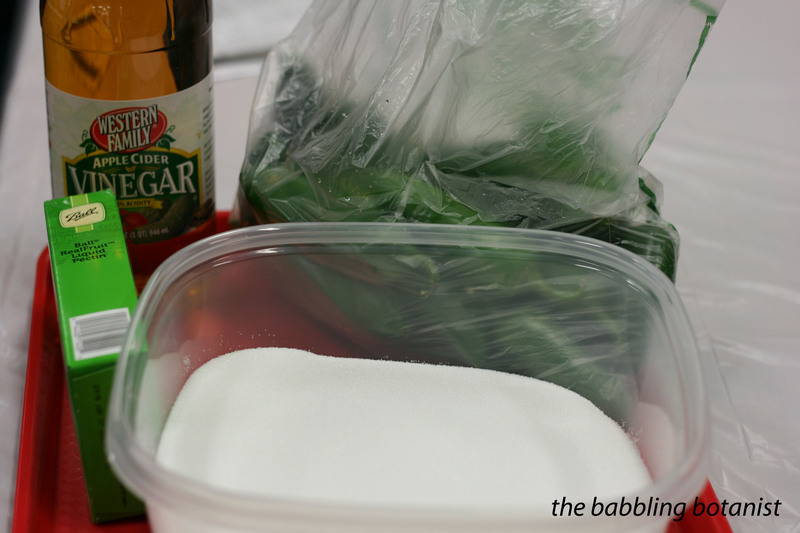 Combine the pepper puree, the sugar and rest of the vinegar and bring to a boil over high. Maintain a boil for 10 minutes and stir constantly. When 10 minutes are up, add the pectin. Yes – 2 full pouches. 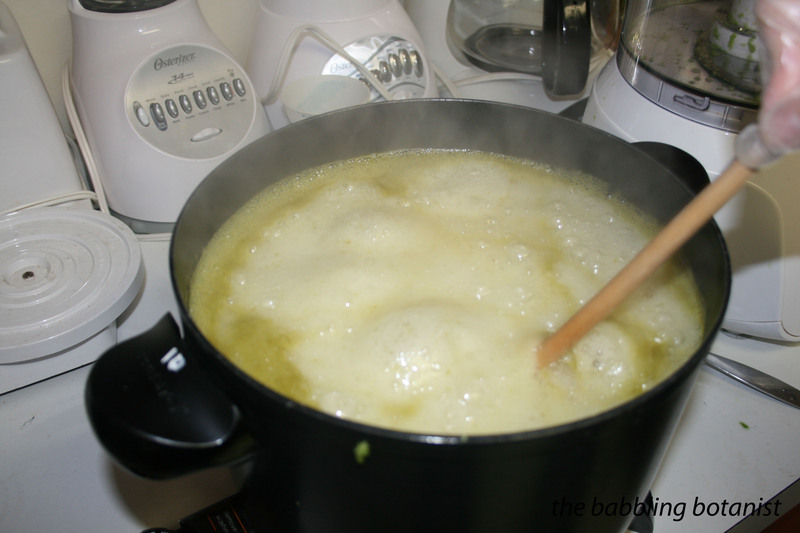 Boil hard for another minute, then remove from heat and skim foam. Fill the jars, leaving a 1/4 inch head space. We discovered when we were out of ladles that pouring jelly with a pyrex measuring cup works great. Wipe the rims, apply the lids, and tighten the bands finger tip tight. 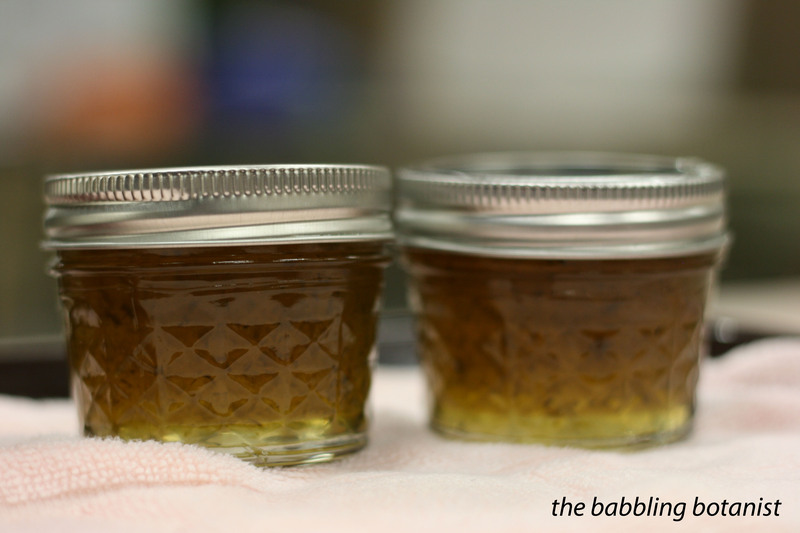 Place the jars in the canner, ensuring they are covered by at least 1-2 inches of water. Bring to a full rolling boil and process for 10 minutes. 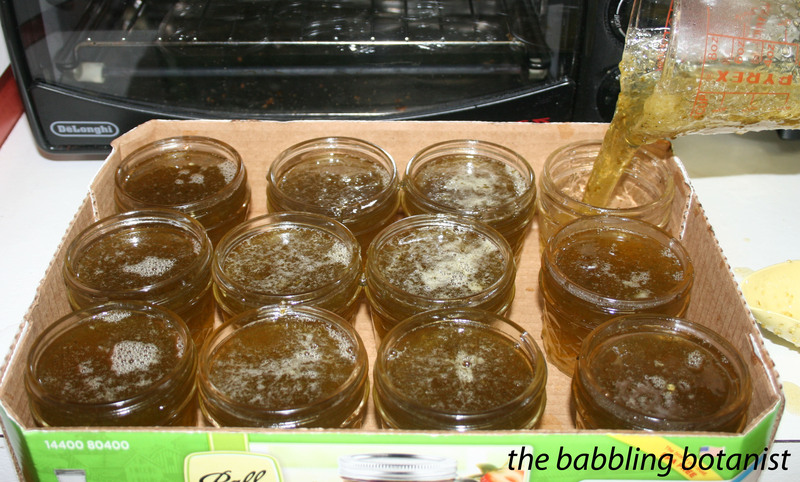 After 10 minutes remove the canner lid, wait 5 minutes, remove the jars to a hot pad or towel and listen to the ping ping ping of them sealing. Cool 12-24 hours, remove bands, wipe, label and store. Later enjoy the jelly perhaps with some crackers and cheese. We tried goat, which if you are into the taste of goats you may enjoy, but I think I’ll try cream cheese or something a little milder next time, as Ball suggests. Deeeelish! 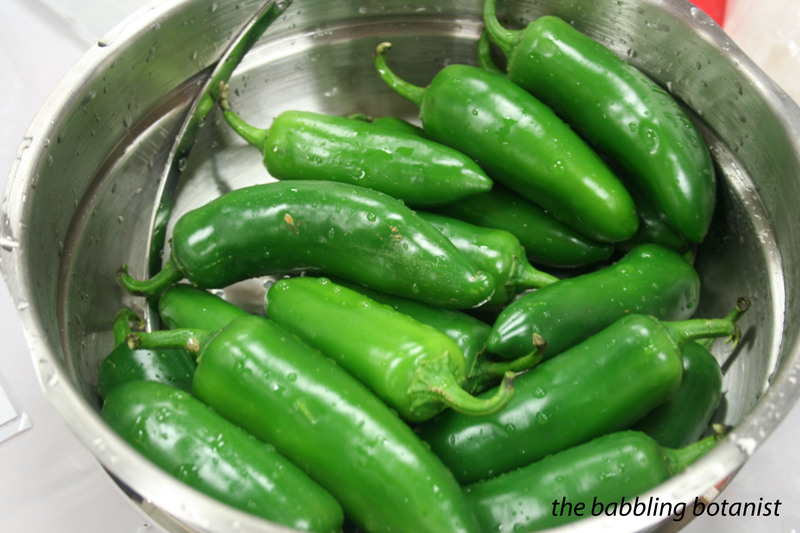 I have always wanted to try making this and have it on my “Canning To Do List” for this summer — I have planted two jalapeno plants on the side of the house. Can’t wait to try this recipe. Thanks. It’s pretty good! I want to try the habanero gold recipe too. Yum! “if you are into the taste of goats” – that’s funny! As someone who loves goat milk, I always feel like the lone ranger that I can’t warm up to goat cheese. Glad I’m not alone. Enjoying your great pictures & recipes!